The Arab-Israeli conflict spans roughly one century of political tensions and open hostilities, though Israel itself only was established in 1948. It involves the establishment of the Zionist movement and the subsequent creation of the modern State of Israel in territory regarded by the Pan-Arab movement as belonging to the Palestinians, be they Muslim, Christian, Druze or other (and in the Pan-Islamic context, in territory regarded as Muslim lands), and by the Jewish people as their historical homeland. 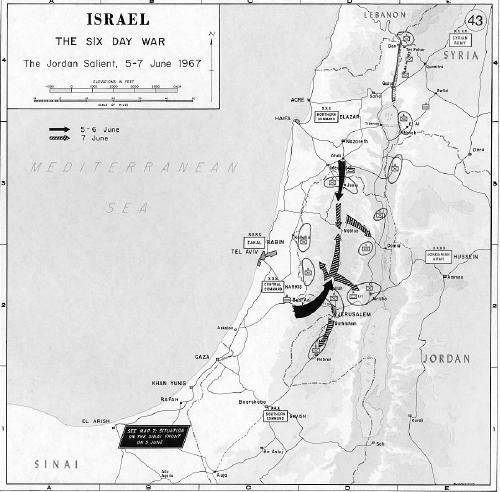 The conflict, which started as a political conflict over territorial ambitions following the collapse of the Ottoman Empire, has shifted over the years from the large scale Arab-Israeli conflict to a more regional Israeli-Palestinian conflict, though the Arab World and Israel generally remain at odds with each other over territory. Present day issue must be approached with a recognition that neither the Arab-Israel dispute in general nor the Israel-Palestinian conflict in particular is based on or driven forward by primordial antagonisms and that it has in fact been less than a century since Jews and Arabs began to view each other as enemies.